Occupying one of the most beautiful sites in the world, Rio de Janeiro has been abundantly blessed with natural attractions. World-famous constructions such as the Christ statue (one of the Eight Modern Wonders of the World) and the cable car up to the summit of Sugar Loaf mountain add to the sensation that the city is a giant adventure playground. The beaches of Ipanema and Copacabana are just two of the many absurdly photogenic strands in and around the city, and Tijuca National Park - the largest swathe of urban jungle in the world - will thrill outdoorsy, active types. 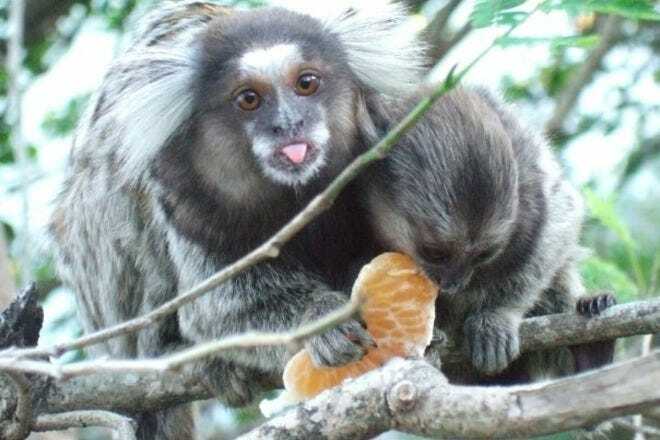 Hot Tips: Don't venture into Tijuca National Park without a guide or local companion - it's too easy to get lost. Many visitors to Rio aim straight for the beaches of Copacabana and Ipanema, and the former in particular is packed with high-rise hotels. But while beachfront lodgings maximise sunbathing time, prices are high. 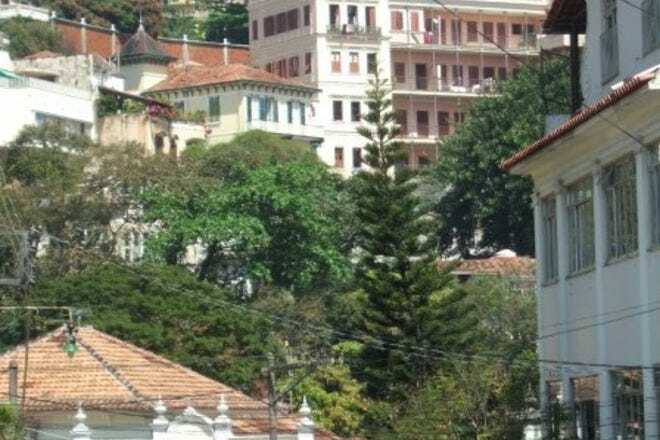 Expect more bang for your buck as you get farther inland, with characterful pousadas (guesthouses) and chic boutique lodgings to be found at inland beauty spots such as Jardim Botanico, Santa Teresa, and Gavea. 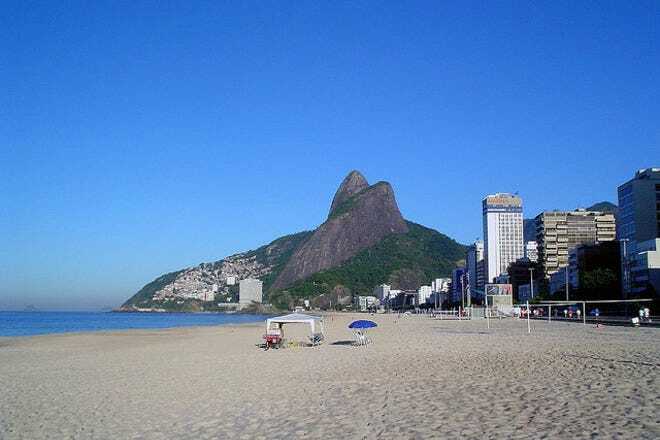 Farther west, the modern beach suburb of Barra da Tijuca is popular with business visitors due to its large conference centers. Foodie visitors to Rio will find everything from fine dining restaurants to tasty street food and relaxed lunches at chilled beach kiosks. Although formal dining in the city is expensive, budget visitors can eat well and cheaply at Rio's many pay-by-weight buffet lunch spots. Vegetarians can tuck into an impossibly vast range of colorful fruits and vegetables, while carnivores will be in seventh heaven at Rio's legendary churrascarias - meat grills. For a real feast, look out for rodizio restaurants - cut after cut of glistening grilled meat will be brought to you at your table until you can eat no more. Hot Tips: Rio has some excellent street food - look out for Tapioca pancakes,which are naturally gluten free and come filled with everything from cheese or shredded chicken to Nutella and banana. Hot Tips: Açai, the nutrient-packed Amazonian power berry served as a kind of sorbet at the city's ubiquitous stand up juice bars. Rio de Janeiro is one of the world's greatest party cities. Nightlife here is is all about dancing, and whether you want to shake your rump to sultry samba or get down and dirty to some favela funk or hip hop, you'll find plenty of opportunity to do so. 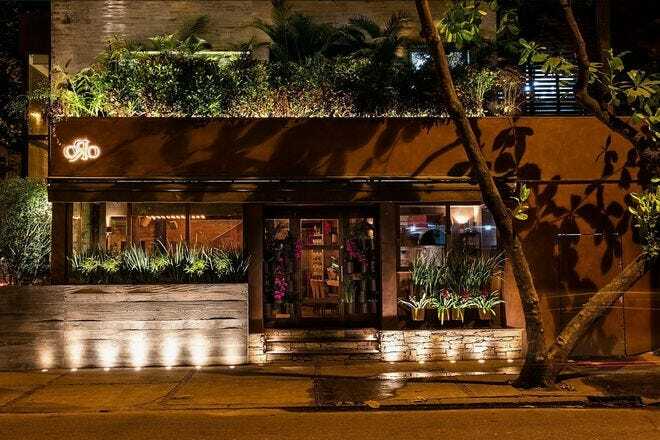 The chic neighborhoods of Ipanema and Leblon are the places to head for sophisticated bars and clubs, while a more casual, hard-partying crowd heads for the downtown party district of Lapa. 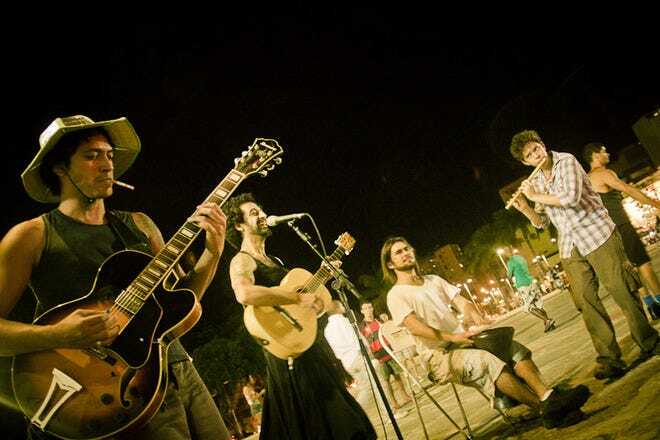 Hot Tips: Have drinks in the hip hilltop neighborhood of Santa Teresa on a Friday or Saturday night before heading down the hill to Lapa for the very lively street party. Things get busy after midnight. Hot Tips: Many bars and clubs operate a consumption card policy, with drinks marked on a card and paid for on exit. Losing the card can result in paying a fixed (and very steep) fee. 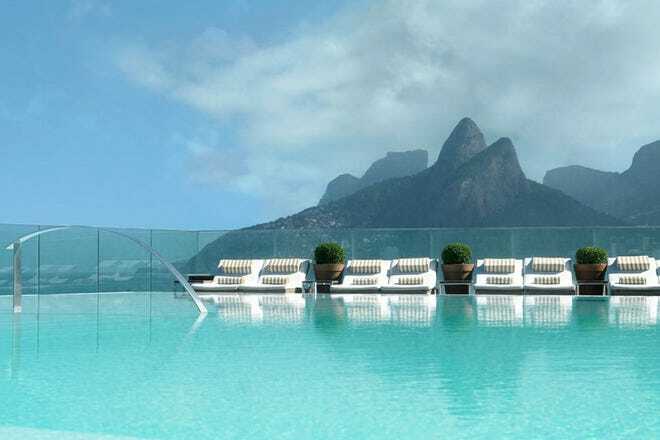 Rio de Janeiro can be an expensive city for shoppers, but there are bargains available. 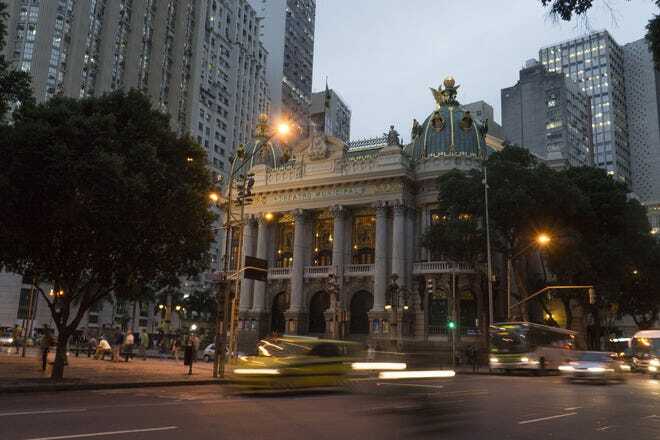 If money's no object, head to the designer shopping centres of Leblon and Ipanema or, if finances are tight, jump on a metro to Centro and visit the maze of streets that make up the Saara shopping district. 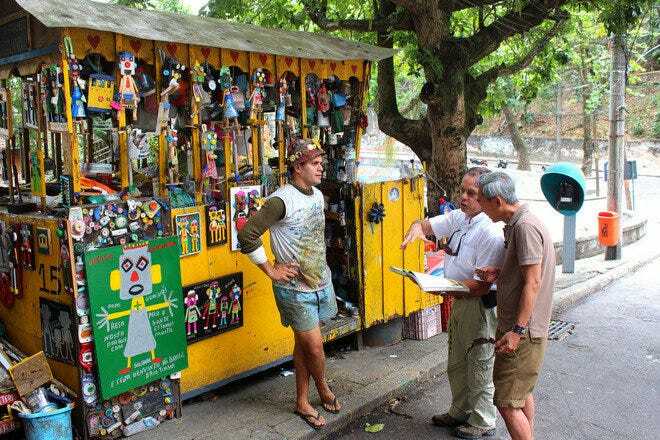 The weekend street markets Laranjeiras and Ipanema are good places to shop for artsy gifts. For foodies, the fruit and vegetable markets held across the city are unmissable (dates and times vary but most neighborhoods have one at least once a week). Hot Tips: For vintage fashion, rare vinyl and all manner of collectibles, check out the flea market held each Saturday at Praca 15, in front of the ferry port in Centro. Hot Tips: Look closely at price tags:Brazilians often spread the payments for everything from clothes to expensive food items, and the prices shown are often per instalment. Five of Rio de Janeiro's most unique features and characteristics. Think of Rio de Janeiro, and it's hard not to conjure up images of beautiful people lounging on equally attractive beaches. 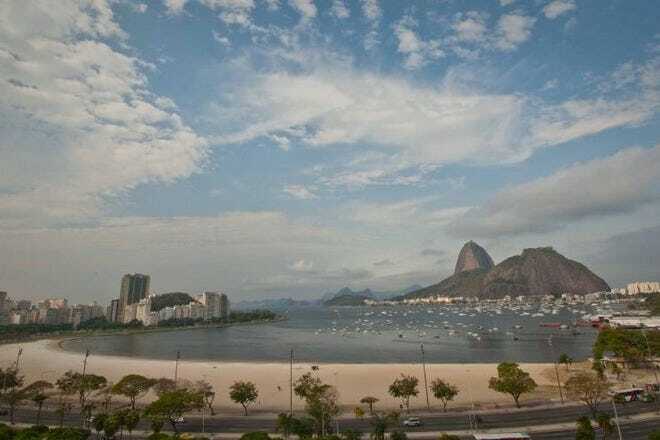 Far from being mere myth, these images are brought sharply to life when the tropical sun beats down on Rio. 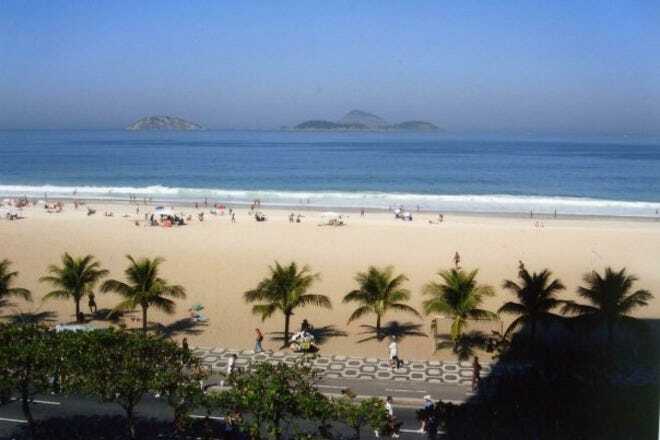 Ipanema, Copacabana and Leblon throng with beautiful people in the skimpiest of swimwear, with the white sands, crashing waves and mountain backdrps framing the social scene perfectly. When the clouds gather and the rains fall it's a different story, with the beaches looking windswept and forlorn until weather conditions perk up again. 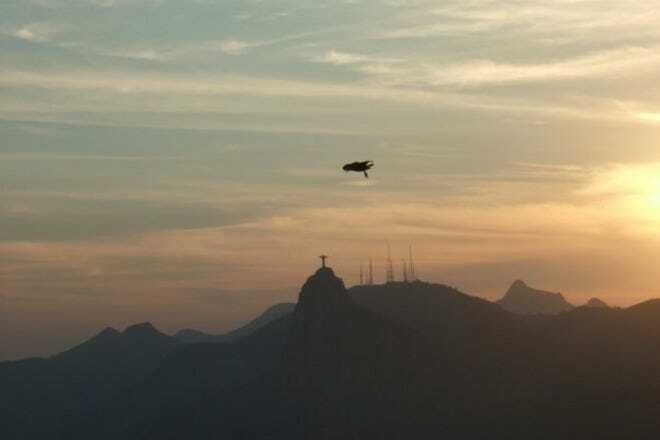 There are few images more iconic than that of the statue of Christ the Redeemer standing tall over Rio, embracing the city, its mountains and its beaches, with his outstretched arms. Visible from almost every point in the city, the statue is best seen up close, and the funicular railway which runs to the top of Corcovado mountain is the best way to visit the statue. Head up on a clear day, for spectacular views over the city. Only marginally less famous than Corcovado mountain and the Christ Statue, Sugar Loaf mountain juts right out of the ocean, and the views from its peak are nothing less than breathtaking. While a few hardy souls are up to scaling the mountain itself, the vast majority of visitors ascend to the top of Sugar Loaf by cable car - a dizzying two-stop journey that calls first at the smaller Morro da Urca. There are bars and coffee shops at Sugar Loaf's peak, and sipping a caipirinha as the sun sets over the city is an unforgettable experience. A lively, flamboyant city that revels in excess, Rio de Janeiro really comes into its own over Carnival, when residents shed the few inhibitions they may have and slip into full-on party mode. While the eyes of the world are on the spectacular samba school parades at the purpose-built Sambodromo stadium, the vast majority of the city takes to the streets to join in the riotous blocos or street parties, that take place across the city. So you think you can dance? Wait until the Brazilians show you how it's really done. 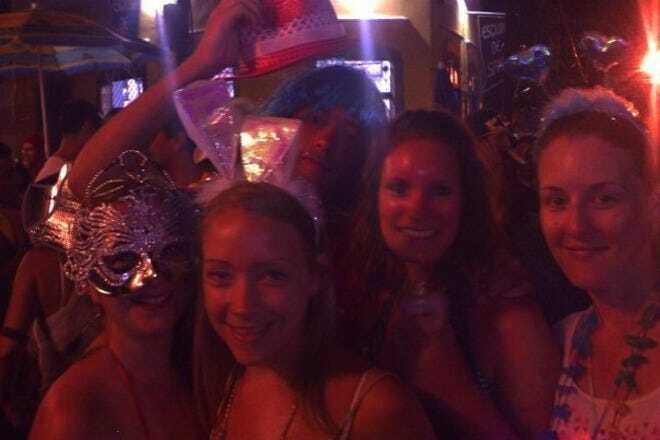 The city is synonymous with samba, and you're never far from an opportunity to take to the dance floor in Rio. For the most authentic samba clubs, head downtown to Lapa, where seriously skilled dancers take to the floor at spots such as Rio Scenariun and Carioca de Gema. The quality of the live music is every bit as impressive as the dancing, s even those with two left feet will be able to enjoy watching others strut their stuff.